A crisis is brewing in beer. 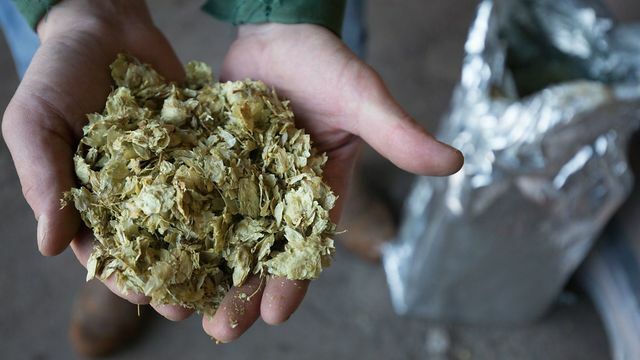 A poor hop harvest and under-supply is threatening the craft beer maker. Demand for such beers remains high. This could see prices for a pint of Puppy's Breath or Smooth Hoperator rapidly rise. Based on this principle then, why is it that the oil price remains stubbornly low? In short, supply is high and demand is, relatively, subdued. One reason, given by economist Niels Jensen, is based on the fact that commodities are the single biggest export article of most emerging market countries, many corporates have borrowed a lot in U.S. dollars in recent years and the U.S. dollar on a trade-weighted basis has been very strong more recently. So, servicing the rapidly growing mountain of debt has proven a great deal more expensive than expected. As a result, corporates have been forced to sell their commodities at increasingly deflated prices (and continue to do so). Seb Beloe, head of research at sustainable investment firm, Wheb asset management questions whether the oil price is a structural issue, rather than a cyclical blip. "Most financial analysts see it as cyclical with higher oil prices inevitable in the medium-term. Maybe – but there is more than an outside chance that the price declines, particularly in oil, are driven by structurally softening demand," he says. According to the World Economic Forum, the vast majority of the avoided oil consumption in 2014-15 has come from more efficient transport with the remainder coming from a reduction in miles travelled. "It may seem outlandish to suggest that the fossil fuel markets are in structural decline, and certainly this is the view of the industry itself. ExxonMobil’s recent long-term outlook on energy markets still sees oil as the world’s most important energy source in 2040. But we have been here before. In 1900 it would have been difficult to find a car on the streets of New York City, but by 1913 you would have been hard-pressed to find a horse," Beloe observes. In this day and age, where the perception of brand can beat substance at a tidy profit, could the oil industry take a leaf out of the craft brewing industry's book and get rid of Brent Crude. Droughts in the US and Europe have led to a 40% decline in the global crop harvest. That's at a time when so-called craft beers, which rejoice in names like Blind Pig and Hop Zombie, are enjoying a surge in popularity. Craft beers use around six times more hops than conventional lager. "Droughts have led to a 40% decline in the global hop harvest. We discuss the potential impact on the price of bee… https://t.co/uyFHRNGA2L"